JUDr. 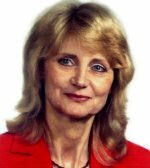 Irena Holcová– I studied at the faculty of law at Charles University in Prague, and started my legal practice in 1977. From 1992 I was a business lawyer, since 1993 until now I have been an attorney at law specialising in the copyright above all (also in relation to the field of information technologies). As a member of the Czech Bar Association, I am registered on the list of attorneys at law administered by this association under registration No. 3181. Since 1992 I have also been engaged as a lecturer of the Institute for Copyright, Industrial Property Rights and Competition Law of the Law Faculty of Charles University; I am an author or co-author of articles in journals or professional publications in the field of the copyright (especially comments on the Copyright Act and relating regulations, LINDE PRAHA, a. s., 2001, 2005), I have also participated in preparation of the Copyright Act including the amendments thereto. In the interest of provision of comprehensive services, I also co-operate, if necessary (ad hoc), in provision of legal assistance with renowned law firms or attorneys at law specialising in a particular problem, especially within large essential projects. In 2016 I was awarded prize Lawyer of the Year 2015 in the category of Intellectual Property Rights.